All of these images are from the book "Wild Cats" by Caroline Brett. Wild Cats series. 14 images. 1020x765 JPEG created by "montage", part of the ImageMagick toolkit. lynx.jpg: A North American lynx sits alertly on a hillside. 1024x1024 JPEG from a 24-bit scan. lynxes.jpg: Four North American lynxes on a snowy hilltop. 1152x900 JPEG from a 24-bit scan. marbled-cat.jpg: Facial shot; similar to an ocelot. 945x1024 JPEG from a 24-bit scan. ocelot.jpg: Standing on its hind legs against a rock wall. 680x1023 JPEG from a 24-bit scan. pumas1.jpg: Adolescents grooming each other. 800x600 JPEG from a 24-bit scan. pumas2.jpg: Mother with her cub nuzzling under her chin. 730x1024 JPEG from a 24-bit scan. 695x1024 JPEG from a 24-bit scan. snow-leopard.jpg: Snow leopard at rest in the snow. spanish-lynx.jpg: Looking up, possibly watching birds. tiger1.jpg: Going for a swim. 900x900 JPEG from a 24-bit scan. 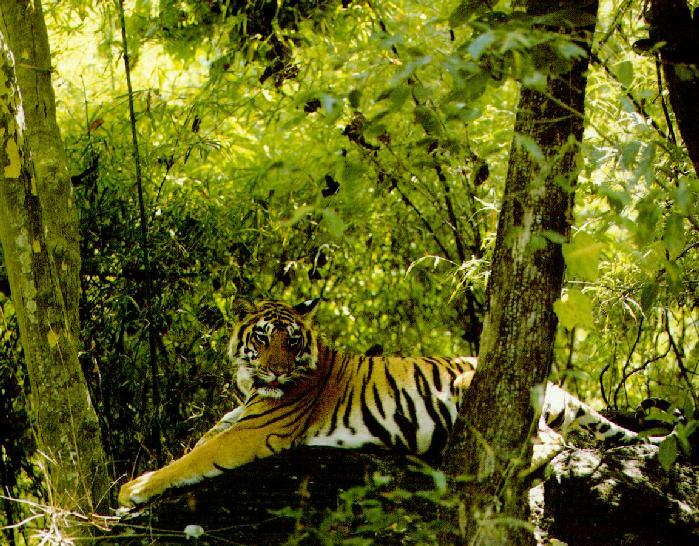 tiger2.jpg: At rest on a forest floor. tiger3.jpg: Head and shoulders profile of a yawning tiger. tiger4.jpg: Close-up facial shot. Nice effect of danger. 790x1024 JPEG from a 24-bit scan.